Today our College captains, Seonaid Lee and Chelsea Barton were announced at our first assembly back of the year. Our captains are an integral part of enabling student voice, they work in collaboration with our Student Leadership Council to organise a range of opportunities for our students throughout the year. Both Seonaid and Chelsea have been very active members within our school community since commencing Year 10 in 2017, having experience on the Student Leadership Council, volunteering and planning whole school events and have participated in a range of activities and they wish to further support these in 2019. “Student run events during the year are very important and loads of fun whilst the effort and time put into them always shows! Sports Carnivals, A School Musical, Student Artwork Exhibitions, Fundraisers and many more strengthen our community.” Said Chelsea. “Our school has a great leadership group with lots of opportunities to share feedback and opinions with the staff and school leaders about important topics. I think what makes Senior one of the best schools in the region is our large range of subjects that are on offer, but with that comes a responsibility to hear what students have to say about how to improve their learning even more. Our school realises that every student is different and I hope to be able to have discussions with a range of students from all year levels on how to make school an even better, fun, safe place for them.” said Seonaid. 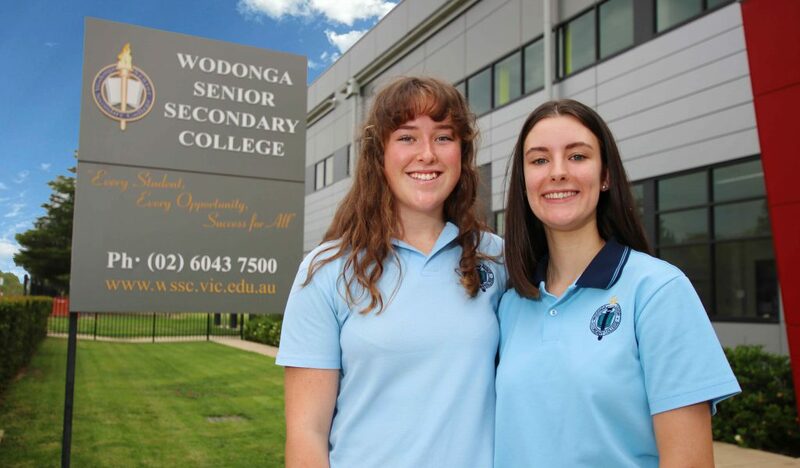 We would like to congratulate both Seonaid and Chelsea on being elected by the study body as the 2019 Wodonga Senior Secondary College captains.